I hope everyone had a wonderful Mother's Day ﻿weekend! My mami flew into town on Saturday and is spending the week with us. My kids are over the moon that their 'Buelita is here and refuse to give her a moment's rest. I have so many exciting things going on here and can't wait to share them all with you on MommyMaestra. To start off, I am dedicating this week to STEM resources for families. Summer is just a few weeks away and although I know your kids are looking forward to the break from school, I know a lot of parents are already thinking about ways to keep them occupied. More importantly, like a lot of parents, I've been thinking of ways to prevent "Summer Brain Drain," otherwise known as summer learning loss. During the summer, students can forget much of what they've already learned in areas like math, reading, and science. But parents can prevent this from happening by providing them with opportunities to practice their skills over the summer months with fun and educational activities. As a homeschooling mom, I don't completely stop teaching during the summer, but our schedule certainly becomes a lot less structured and we don't necessarily follow a curriculum. We do a lot of reading and I like to pick one or two subjects that my kids are interested in really learn about them. 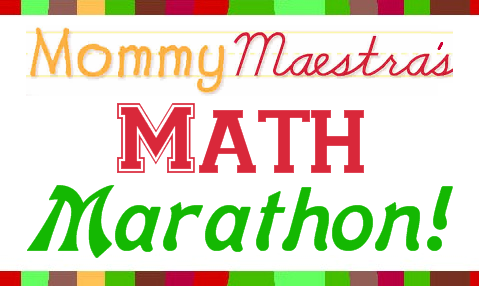 This summer, I'm excited to say that I'm launching the MommyMaestra Math Marathon! Every Monday, I'll be sharing ideas, photos, or activities revolving around math. 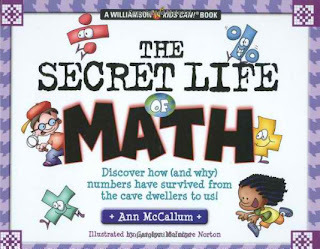 If your family is interested in joining us along the way, then you'll probably need to pick yourself up a copy of this book: The Secret Life of Math: Discover how (and why) numbers have survived from the cave dwellers to us! by Ann McCallum. If you click on the link it will take you to my online bookstore where you can purchase it for only $5.18 - that's 60% off the cover price! 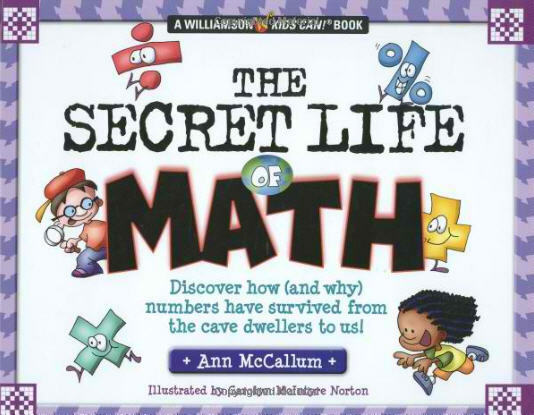 The Secret Life of Math is the the ultimate math book. In it, McCallum explains how math has been developed and used around the world. From the Inca in South America to the Japanese in Asia, kids (and their parents) learn that communication, counting, and keeping track were powerful motivators. The best part of this book is how it uses hands-on crafts to supplement the history. We'll be making different types of math tools - such as tally sticks, an Inca quipu, counting balls, an Egyptian amulet, Mayan number cookies, and even our own abacus! - to help us understand each section. Part of what I love about this book is that it is a history lesson, geography lesson, art/craft lesson, and reading lesson all rolled into one. I really hope your familia will join mine this summer learning all about math in a fun, very hands-on way! The first MM Math Marathon activity will be posted Monday, June 4th! Awesome Math marathon it's never to early to learn some math right :) i look forward to this also! that's awesome. more kids need to love math. i hated it but programs and organic initiatives like a marathon would have been so helpful! yay!